Okay, maybe not….While this post might seem weird in light of my recent injuries, I wanted to share some insight with others who might be thinking of doing something similar. I am really happy with the way my body healed (minus the knee, of course) and within 2 days I was walking normally and had no pain. I learned a lot of things from Hood to Coast. I learned that I CAN do it. 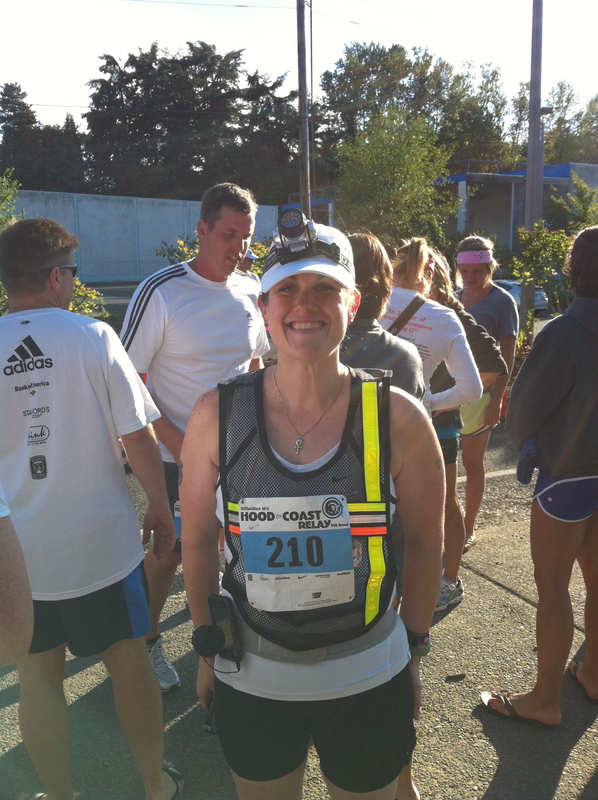 Recovering from Hood to Coast might be harder than the actual event. I’ve put together a list of some tips on how to recover. 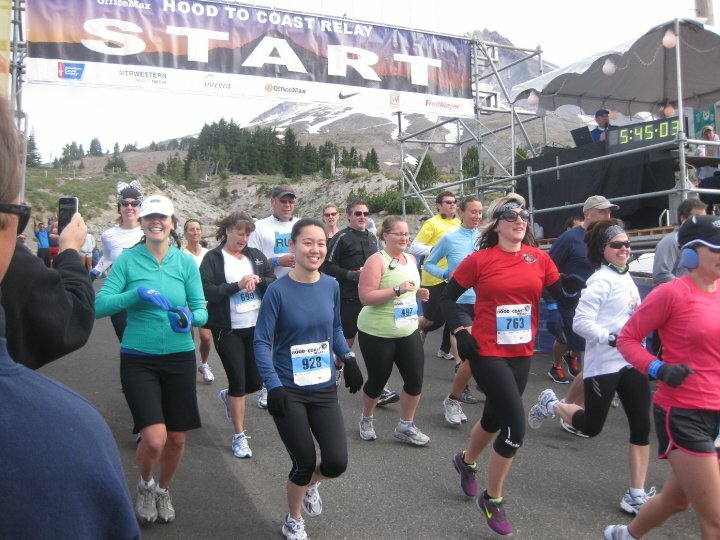 It can be for almost anything, though, not just Hood to Coast. It can apply to a Marathon or another relay race…basically anything epic and taxing on your body. 1. Rest rest rest. I cannot express this enough. I went back to work too soon. I should have taken one extra day off. The one day off I took after HTC was spent doing errands and taking care of things around the house. I really just needed that day to lay in bed. 2. Eat a lot of healthy, whole foods. You WILL be starving. For about 5 days after Hood to Coast I was famished and could not eat enough food to satisfy my hunger. The trick was to eat good food not junk. 3. Swim. I swam two days in a row after Hood to Coast and it really helped heal my legs. The muscle stiffness and soreness disappeared pretty quickly and I think swimming and sitting in the hot tub is the secret. 5. Try yoga and stretch a lot. I used my Foam Roller as much as I could. 6. Celebrate your success. YOU DID IT! Celebrate with friends and family and tell them about your experience. 7. Sleep a lot. I slept about 14 hours after Hood to Coast. I felt like I couldn’t get enough sleep to catch up for the rest of that week. 8. Ice your legs a lot. If you can handle an ice bath, do it. 9. 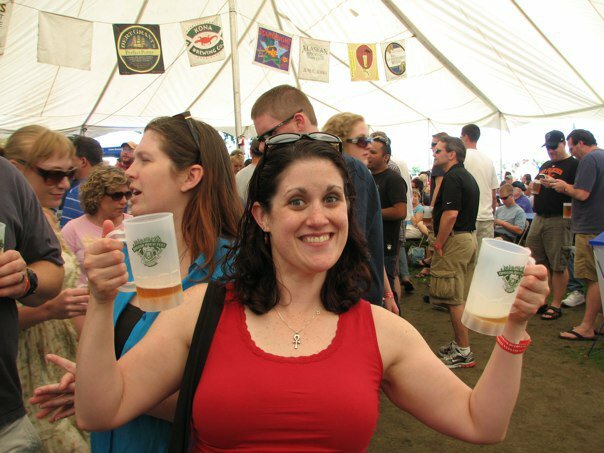 Plan your next event, but don’t overdo it. Give yourself some time to recover before starting to train again. Your body will need the break. 10. Be prepared for emotional turmoil. Maybe my situation was a little different than most, but I wasn’t prepared at ALL for the emotions I’d have during and after Hood to Coast. I honestly don’t know how I could have prepared myself for those. 11. Expect foggy brain, weakness, tiredness. 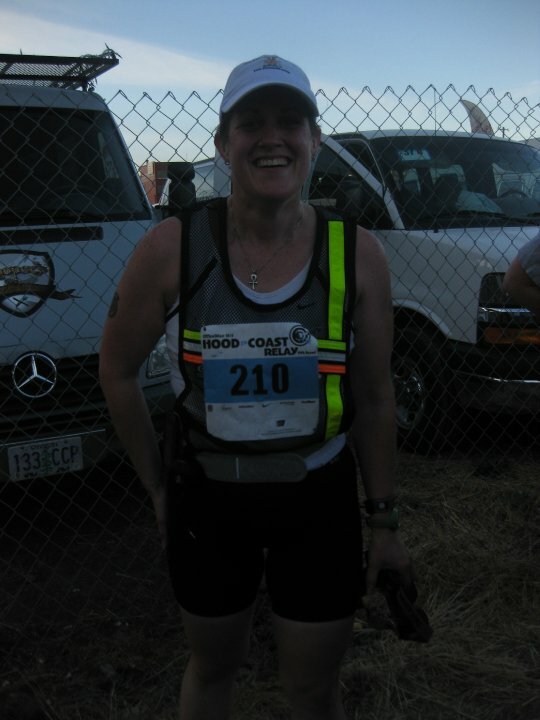 I felt spacey and distracted for about a week after Hood to Coast. No idea why…but it definitely wasn’t the time to make any plans or decisions. 12. Treat yourself to a massage! 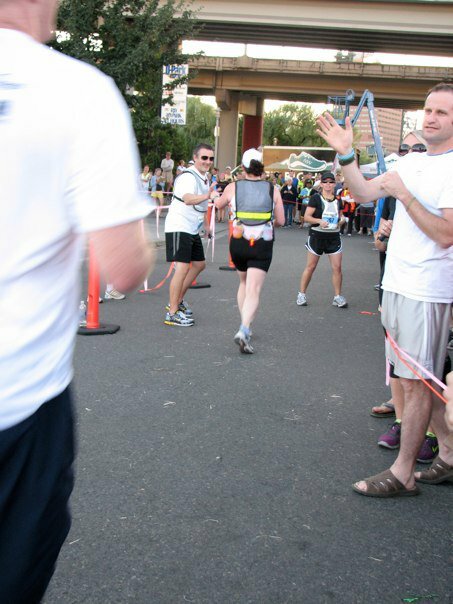 QUESTION: If you’ve run a Half Marathon, Marathon, or Relay Race how did you recover? GOOD LUCK on your first half!! Sooo exciting! I really suggest swimming. It has helped me sooo much when sore. I always make sure to get lots of rest, drink lots of water and replace those calories! Oh and a walk / stretch the day after is always good! Great tips! I did my first half marathon last October and I have my next one coming up in 4 weeks. I’m planning on most of the things on your list…and definitely taking a day or two off of work. It’s important to rest up and just relax! Good luck! I’d love to hear about your Half!